If you have any questions or want to enquire about dates, use our form to contact Simon Bennett or see their website for more information. There’s a seductive tranquillity to the Scorff valley and setting out on foot or on a bike, maybe after a lazy coffee and croissant breakfast, feels wonderful. 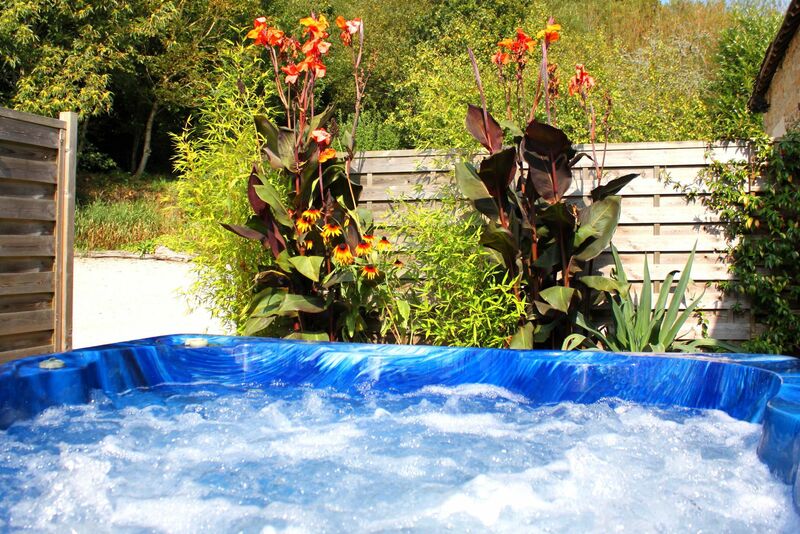 Coming back to soak in the big outdoor hot tub rounds things off nicely. You stay in one of two granite cottages, each with French windows bringing in lots of light and with your own hornbeam-hedged garden behind. You’re welcome to wander the main gardens too which are beautifully planted, or to ask the helpful Bennetts for anything you need. Walk into the local village where there are two restaurants, explore towns and medieval Pontivy; stunning coastal beaches are an hour’s drive for a day out with a picnic, and lake swimming is nearer at the impressive Lac de Guerlédan half an hour away. There are pretty walks along forest trails around the lake too. Minimum stay: 4 nights, 7 nights in high season. My second time visiting this beautiful place. Last time with friends, this time with the children age 15 and 13. Jasmine cottage was a comfortable and well appointed as my first visit with a wonderful welcome basket with lots of delicious goodies. The local town had everything we needed and TBH we wanted for nothing. We covered many a KM exploring the pretty towns and villages. Lac Guerledan and The Valley of the Saints are a must. A mixture of weather including Snow meant that the hot tub, log burner and the jigsaws were the perfect way to end a tiring day of exploration. What an absolute gem this place is. Such a cosy and comfortable cottage with everything you need and nicely designed. The weather wasn’t great when we were there but we still enjoyed the relaxation. Simon is a superb host, so helpful and friendly but not intrusive. The welcome hamper was without a doubt the best we’ve ever had! Would love to return in early summer. If you are looking to get away from the hustle of everyday life and are seeking a little peace and tranquility then this is the place for you. The countryside is vast, pretty and with the sighting of other cars being very rare, makes driving a piece of cake. The local village has real character and a river flowing through. There are taverns and restaurants which serve great food. Simon and Penny are very approachable, helpful and friendly. He beef bourguignon is delicious and well worth a try. Their gites are clean and have a lovely country feel about them. I will definitely be going back. What a lovely cottage Orchard Barn is just as described on the website. We had the optional meal, chicken chasseur, on the evening of arrival which was cooked fresh by Penny and was absolutely delicious. The little touches in Orchard Barn were very thoughtful and much appreciated. If you are going to Brittany this is the place to stay. All the excellent reviews I read about Brittany Spa Cottages were true. The cottages were well equipped, very clean and in a wonderful location. The owners Simon and Penny Bennett were very friendly and helpful. The area is suitable for walkers, cyclists and people who just want to chill out in the private gardens. There are so many interesting places to visit only a short drive away. 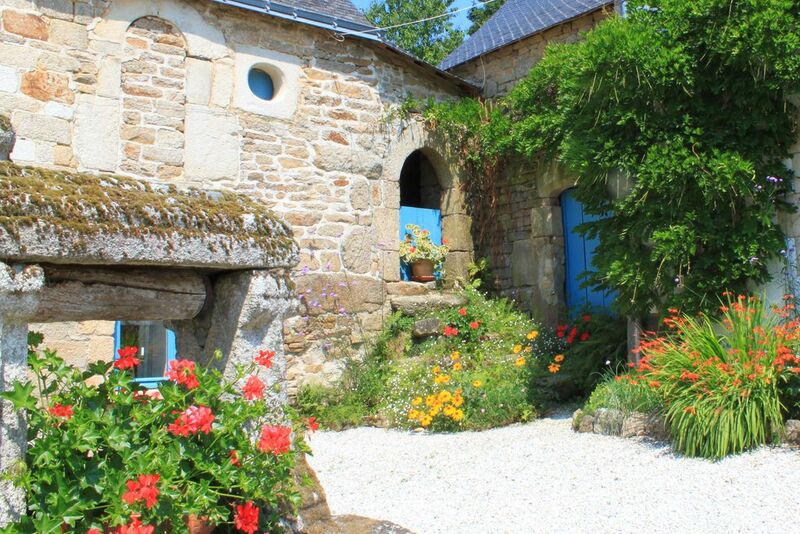 We have visited France many times and Brittany Spa Cottages (Jasmine Cottage) is by far the best place we have stayed. We had a fantastic stay at Orchid Barn. The accommodation was spotlessly clean and Penny and Simon provided everything we needed and more throughout our stay. We were particularly impressed with the attention to detail given to our babies needs, he even had his own little spa dressing gown! Plenty to do around the area, lots of lovely spots for relaxed lunches and walks, but equally the garden at Orchid barn is fantastic to chill out in, a real afternoon sun trap. Penny and Simon were brilliant hosts and we would definitely visit again. What a beautiful place! Peaceful countryside, deserted roads, with plenty to do within easy reach. Penny and Simon are fantastic hosts, go out of their way to make your stay a happy one, without being intrusive. Penny's cooking is excellent, very generous portions and I can highly recommend her reflexology sessions. The cottage is very clean, comfortable and well-equipped. We stayed in the 2 bed roomed cottage and had our own private garden. Fabulous! What a fantasy place. 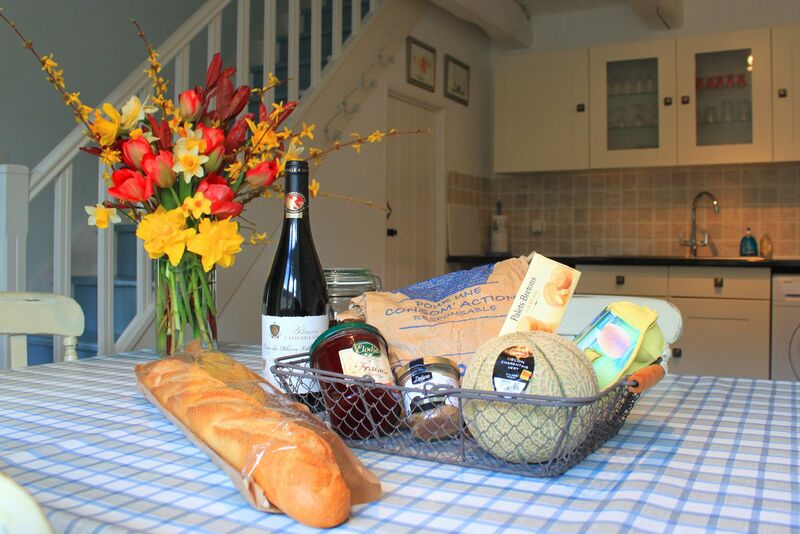 Beautiful luxurious gites with amazing attention to detail from the beautiful welcome hampers, homemade dinners and knowledge of the local area. Both Penny and Simon are incredibly welcoming without being intrusive . There is so much to do and see. We can’t wait to come back next year. Thanks for such amazing memories for our family. A lovely place for a relaxing and peaceful holiday. Penny and Simon are great hosts and nothing is too much trouble for them. When we arrived a fantastic meal cooked by Penny was ready for us. The cottage was clean and well furnished; the bed was so comfortable. The welcome pack was second to none and contained so many lovely things, French naturally. It was wonderful to sit out in the garden area and enjoy the scenery and listen to the country sounds, especially the birds. Not too far away are interesting towns to visit, local markets and the coast. Looking forward to our next visit. A beautiful rural area, criss-crossed by footpaths and dotted with farms and villages like sleepy Langoëlan three minutes’ drive away and with two good restaurants. Thursday is market day in medieval Guémené-sur-Scorff, a 10-minute drive, with its Roman bath, and ruined castle. And it’s 25 minutes to the large market town of Pontivy on the Nantes-Brest canal where half-timbered houses rub shoulders with the 15th-century Château des Rohan. Central location allowing easy access and driving to local villages and towns. Coastal areas within an hour or so drive. Surrounded by beautiful countryside and wildlife, without overlooking neighbours and no passing traffic. 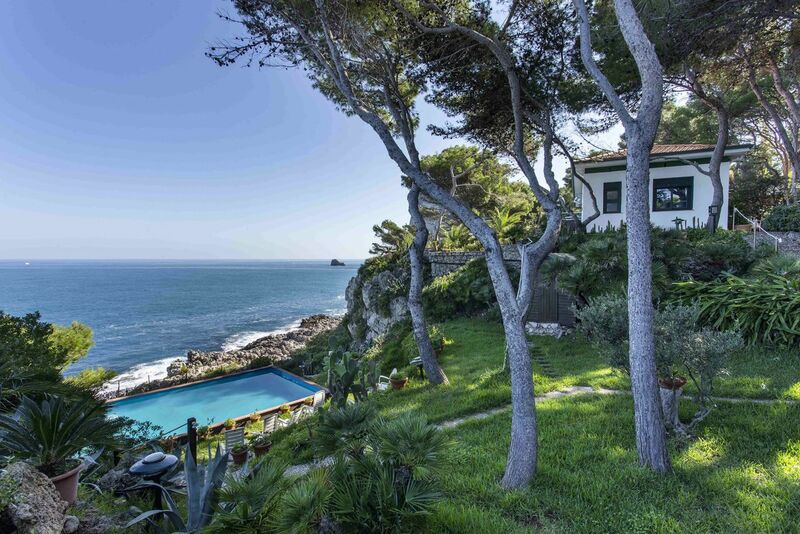 Set in a private Hamlet which is tranquil and peaceful. Listen to the birdsong, relax and unwind. A haven for butterflies too! Many local daily markets to browse and barter. Complimentary welcome basket full of goodies and fresh produce from our garden if available. And of course a bottle of wine to enjoy indoors or out. Complimentary toiletries, fresh towels and luxury bedding included. Child friendly with toys and DVD's available. Babysitting on request and also activities such as baking sessions with the children can be arranged to give you some chill time! Complimentary home baked goodies at times during your stay! The Bennetts decided on a move to rural France from Surrey, after their children left home. They fell for this peaceful Breton hamlet with its self-catering cottages, arriving here in 2018; their enthusiasm for the Morbihan region is infectious. Simon previously worked in the aerospace industry, Penny as a midwife. She’s also a reflexologist and you can book sessions with her. Babysitting and activities for children – like baking – are on offer too.